Jarrad Redden was one of eight delistings following the end of Port's 2015 season. EIGHT players have been farewelled by Port Adelaide following the 2015 season, including retired veterans Tom Logan and Kane Cornes. The eight changes are the first made by the club for the next two months, with the AFL’s trade and free agency periods, and national, pre-season and rookie drafts to come by the end of the year. Logan confirmed his retirement from the game after 11 seasons at Port Adelaide that saw him become the first man to play 100 games in the No. 44 for the club. Cornes stepped away from the game after his 300th AFL match against Richmond in Round 8. Included in the Power’s list changes are the de-listing of three talls in ruckman Jarrad Redden and forwards Mitch Harvey and Mason Shaw. Redden played 16 AFL games for the Power in a career beset by injury after being drafted to the club from Woodville-West Torrens in 2008. Mitch Harvey played a key forward position for the club in the SANFL after being drafted at pick 45 in the 2013 AFL Draft, and won this year’s leading goal kicker award for the Magpies. Shaw joined Port Adelaide the year before, but also struggled against injury during his time with the club. 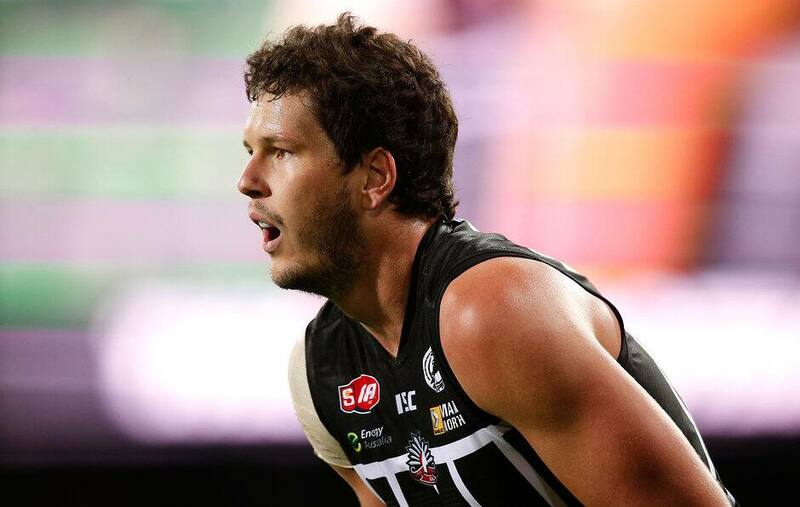 Rookies Sam Russell and Johann Wagner were also de-listed, Russell playing two seasons in the SANFL while Wagner was taken as a Category B rookie after nominating Port Adelaide as his club of choice following his win on FOX8’s The Recruit. International rookie Daniel Flynn, who left the club prior to the 2015 season, was also formally de-listed. Port Adelaide senior coach Ken Hinkley thanked the group for their services to the club. “I’d like to thank the boys for their hard work and we wish them all the best in the future,” Hinkley said. “It’s difficult when people leave the club at this time of year but these are the decisions that have to be made.